Prime Minister Right Honorable Dean Barrow has reshuffled his Cabinet for the third time this year. 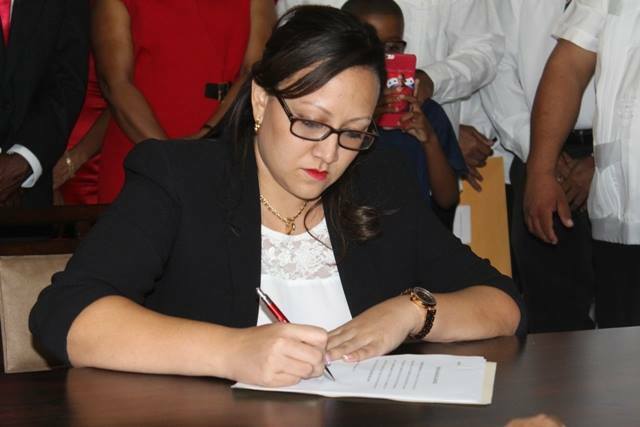 From Deputy Prime Minister Gasper Vega resigning, to former Minister of Defense John Saldivar’s portfolio changing, to now the Attorney General and Minister of Natural Resources, Senator Vanessa Retreage, announcing her resignation. This news was confirmed via the Prime Minister’s press conference on Tuesday, December 13th. On August 1, 2016, Attorney General Retreage took on the role of Minister of Natural Resources from Senator Minister Godwin Hulse, while he took on Saldivar’s former portfolio as Minister of Defense. She even made history as the first female Attorney General of Belize, as she took over the post from Foreign Minister Wilfred Elrington following the United Democratic Party’s general elections in November 2015. Retreage cited family and business commitments as her reasons for resigning. In addition, she indicated that she only committed to serve one year in Cabinet after being appointed Attorney General. 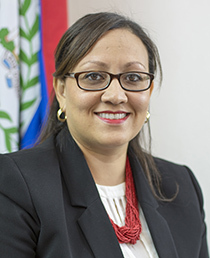 Since her appointment as Minister of Natural Resources, she has investigated issues involving questionable land transactions within Barrow’s administration and family members of Gaspar Vega. She also mentioned that she received a death threat through an email last month. After an investigation by the Central Information Technology Office (CITO) and the police department, it was revealed that the e-mail was spam coming from a corrupt server in the United States. In the press conference, Retreage thanked the Prime Minister for the privilege to serve the government and people of Belize. The Prime Minister also announced that Speaker of the House of Representatives, Michael Peyrefitte, will take up the post of Attorney General in January 2017. The Ministry of Natural Resources will now become a part of the Prime Minister’s portfolio, while Minister of State in the Ministry of Finance Senator Carla Barnett will oversee it daily. The Ministry of Home Affairs will be assigned to Wilfred Elrington, but Elodio Aragon, Minister of State in the Ministry of Home Affairs, will continue to manage the daily affairs of that ministry. The Prime Minister and the Cabinet also propose that Laura Longsworth will replace Peyrefitte as Speaker of the House of Representatives. All other portfolios remained unchanged. Retreage is expected to be leaving the Cabinet at the end of December 2016, where she will be returning to her private practice. Since the announcement, Prime Minister has not released a public statement.